Recently paid to do maintenance on the bolier and notice the drain area continues to drip out water water overfilling the white pan fairly quickly. Before two pipes were dripping, now the long pipe no longer drips but drain valve continues to drip water. Called the heating professional he suggest that it is normal to have some water coming out the drain pipe and it is very common for boiler. He recommend buying a brass cap with washer to put on it. Does that sound reasonable? Do we need to replace the drain valve? Thanks. That boiler drain really should be replaced. A cap will most likely stop the leak but not the problem. Brass cap w/washer will work. Repair valve would be better. -Water feed not sealing properly. NEVER cap off the pipe from the relief valve. Is that fairly expensive to replace or repair? @STEVEusaPA, the dripping now is not from the relief valve (long pipe) that seems to stopped, the dripping seems to continue from the boiler drain and it has been slow down a bit. I would go for the brass cap on the boiler drain. 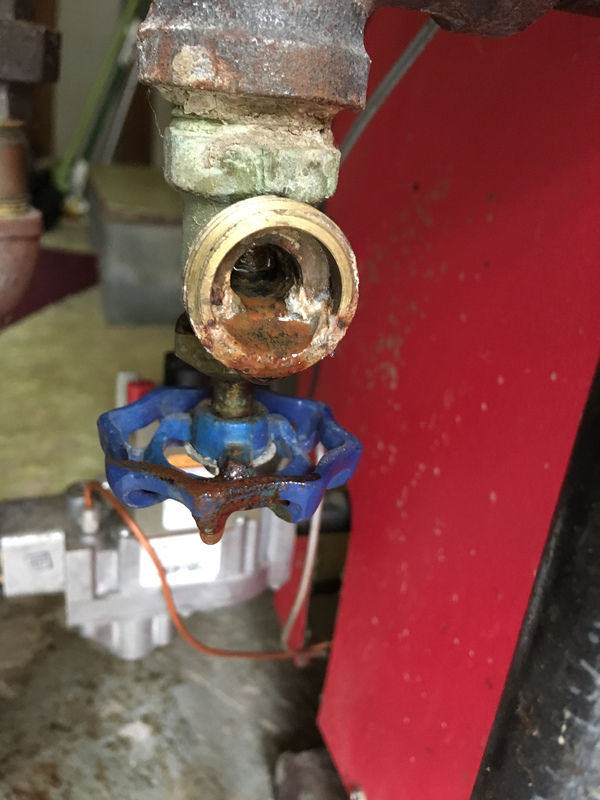 To replace the drain valve, the boiler and perhaps the entire system would have to be drained down. If there are isolation valves between the boiler and the system piping then only the boiler would have to be drained. This is probably why the maint person did not want to change it. Bleeding air out of the system may take some time. Most people in the business carry the brass caps on their truck just for this purpose. The cap also may prevent someone from getting a bucket of water out of the boiler for whatever purpose. 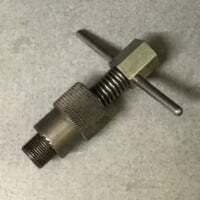 You should be able to lift the lever on the pressure relief valve and it should pass water and then reseat. Your pro should have done that. To replace that may require the same drain down of the system. @JUGHNE that's super helpful! In the next year's maintenance, i will ask them to replace the drain valve. I will get brass cap. Thanks everyone for the information! @vaiozh, the brass cap and hose washer are fine for now. Sooner or later you will have to change another part on the boiler that requires draining the system. You can wait and do the rain valve then. 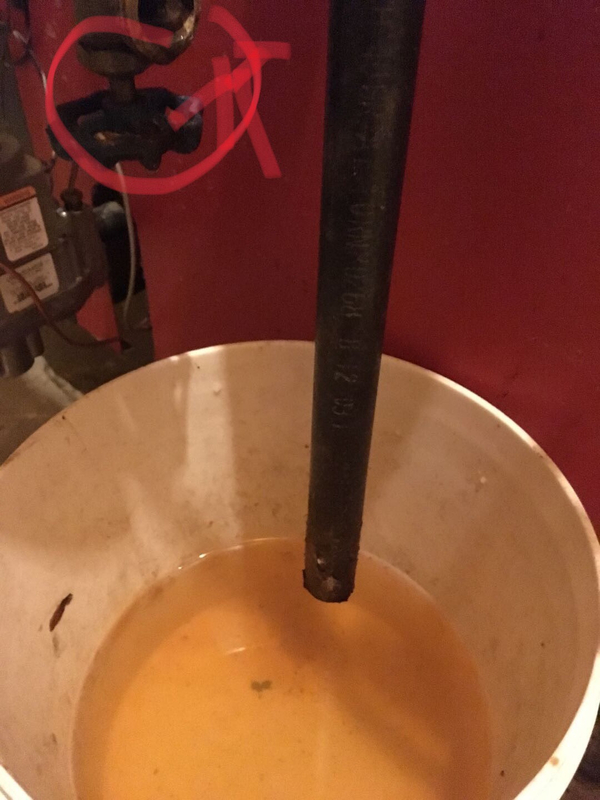 Put a tag on the boiler to replace the drain valve so you and the service company won't forget.